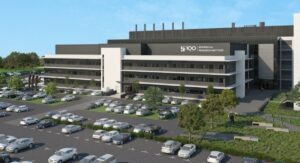 Speaking to Kieno Kammies on Cape Talk, Vice-Dean for research at Stellenbosch University’s Faculty of Medicine, Professor Nico Gey van Pittius said the facility will aim to improve the treatment of diseases such as HIV, diabetes and tuberculosis. Besides the range of research laboratories, the Biomedical Research Institute will also host a Bioinformatics Hub, as well as Electron microscopy laboratories, Morphology Museum, Biorepository and Proteomics and FACS laboratories, to name a few. The project is based on sustainability and the facility will include energy and water systems, as well as waste management. Negative air pressure “will keep hazardous fumes or airborne toxins” from filtering out of labs into adjacent areas. A smart lighting system will be able to detect areas where natural light is stronger and adjust accordingly, which in turn would save on the use of electricity, while the greywater system will harvest rainwater. The faculty will also encourage a healthy lifestyle among students and staff alike at the Biomedical Research Institute, with a secure bicycle storage area and shower facilities to encourage everyone to cycle to work.